Jess Dandy and Alice Davenport have starred in 3 movies together. 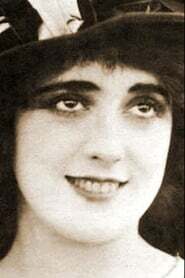 Their first film was Hello, Mabel in 1914. Gene Marsh and Alice Davenport have starred in 3 movies together. Their first film was Caught in a Cabaret in 1914. Venice Hayes and Alice Davenport have starred in 3 movies together. Their first film was Fatty and Mabel at the San Diego Exposition in 1915. Raymond Hitchcock and Alice Davenport have starred in 2 movies together. Their first film was My Valet in 1915. Harry Ward and Alice Davenport have starred in 2 movies together. Their first film was A Bird's a Bird in 1915. Marie Manley and Alice Davenport have starred in 2 movies together. Their first film was Perils of the Park in 1916. Jay Dwiggins and Alice Davenport have starred in 2 movies together. Their first film was A Maiden's Trust in 1917.